but this was my first opportunity to stand in one spot for an hour. 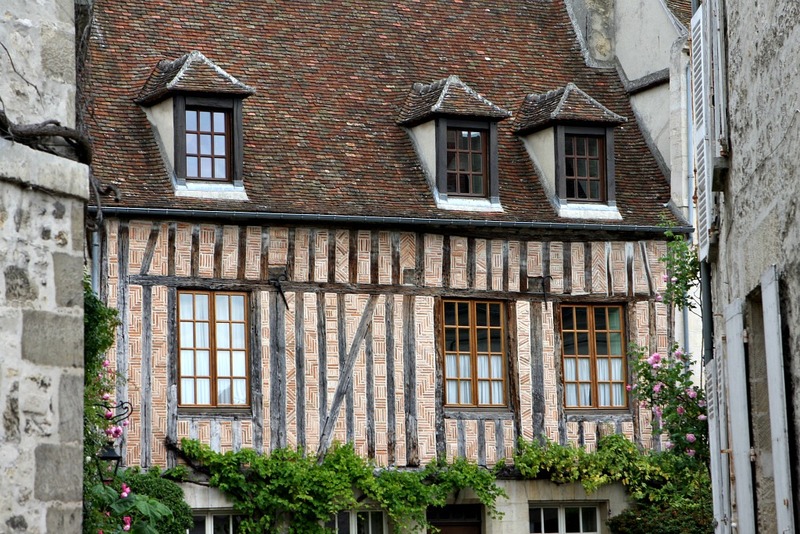 Senlis has beautiful, unique examples of tudor-era architecture that you can’t find elsewhere. It’s often used in films to capture the claustrophobic feeling of medieval streets. We made it to the top of the roof! Just in time to watch the sun set. Gosh…now how do we get down? Continuing my little daydream about chasing a rabbit over the rooftops of Paris, this is what happens after you work up the courage to jump out that window!